A nighttime spectacle unlike any other celebrating a space-based saga paints the skies above Disney’s Hollywood Studios with the awe inspiring Star Wars: A Galactic Spectacular at Walt Disney Resort. With galaxies not so far away for its canvas, Star Wars: A Galactic Spectacular will light the night with Star Wars-themed fireworks, lasers, projections and other amazing special effects paired with Star Wars-themed music and iconic characters and scenes from the seven-film, pop culture phenomenon. 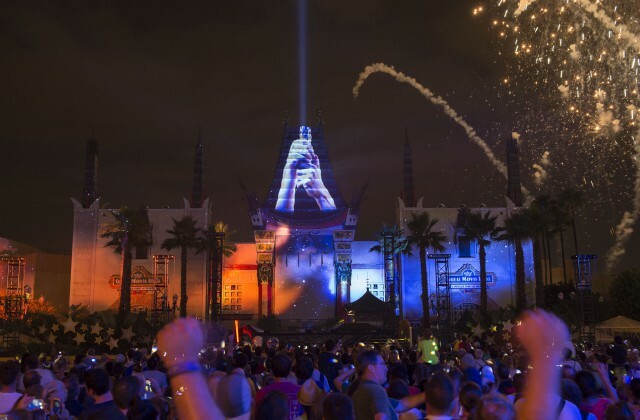 One of many magical highlights of the four-park summer line-up at Walt Disney World Resort is one of the biggest, boldest sky shows in the 27-year history of Disney’s Hollywood Studios, according to show director Michael Roddy of Disney Creative Entertainment. 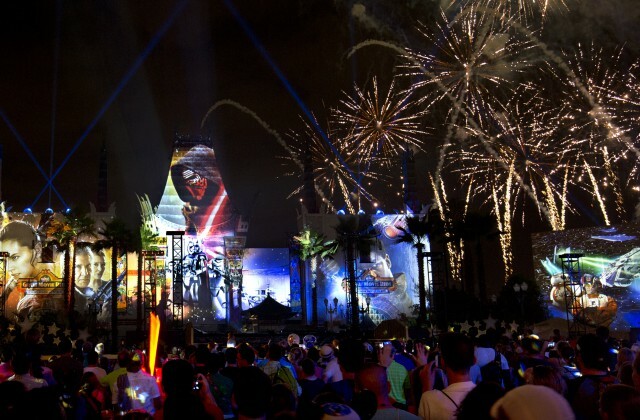 Star Wars: A Galactic Spectacular unfolds nightly in a series of acts in the skies and around the heart of the park. State-of-the-art effects projecting onto the Chinese Theatre and other buildings will transport guests to a galaxy far, far away. Imagine gazing at the twin suns of the desert planet Tatooine, scavenging with Rey on Jakku, navigating through an asteroid field, soaring down the trench of the Death Star and delivering the final blow to destroy Starkiller Base. The blockbuster show is punctuated by a tower of flame shooting tongues of fire skyward as well as powerful crisscrossing spotlight beams, creating lightsabers in the sky. “It is a Disney sky show like none other,” Roddy said. “We are actually able to cast fireworks to tell different parts of the Star Wars story, in colors identifiable with the film whether it’s green for Yoda or creating a starfield up in the sky. 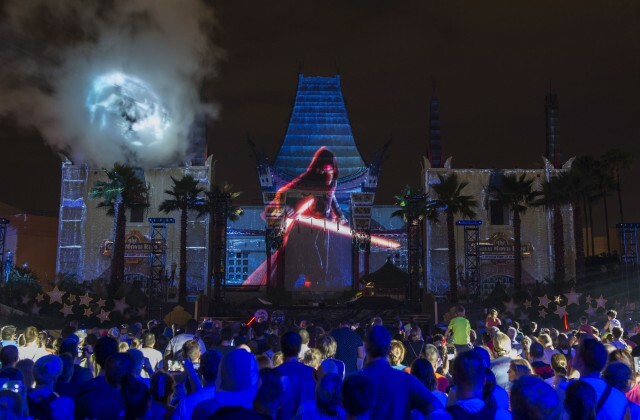 Projection mapping technology allows us to dramatically overtake the buildings with images from the Star Wars saga. Custom animation delivers motion picture moments and perspectives never before experienced. And surround sound makes it seem like a TIE fighter just flew past and exploded next to you. “So many of the things we love about Star Wars we were able to bring to life,” he said. Star Wars: A Galactic Spectacular is part of Star Wars-inspired entertainment throughout Disney’s Hollywood Studios including a new live stage show; stormtroopers march; Star Tours – The Adventures Continue attraction; a reimagined Jedi Training; themed food and beverage offerings; and Star Wars Launch Bay featuring themed galleries, artifacts, merchandise and Star Wars character encounters. 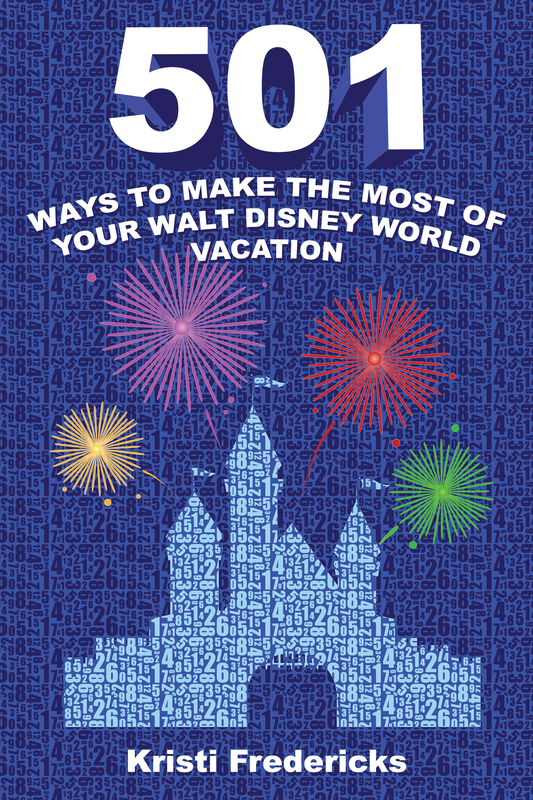 Produced by: Walt Disney World Parks and Resorts Creative Entertainment, in collaboration with Lucasfilm and Industrial Light & Magic. Length of performance: approximately 12 minutes. Performance schedule: once nightly (showtimes vary). The show incorporates music and imagery from all seven films in the Star Wars. Opening projection scenes recall the Hollywood premiere of the first Star Wars film in 1977. Tower of flame fires up to 140 feet in the air. Custom visuals were created for some projections to fully immerse guests in sequences from the films, recreating familiar scenes in ways never before seen. Audio for the show is presented in 7.1 channel surround, creating a rich sound quality and making possible such effects as the sound of TIE fighters and X-wing starfighters flying above and around the audience. Are you a fan of Star Wars? Have you seen the new fireworks show yet?